NAIROBI, Jun 27 2014 (IPS) - An African proverb says that every woman who gives birth has one foot on her grave. Sadly, this is still true today, especially within the context of the AIDS epidemic. 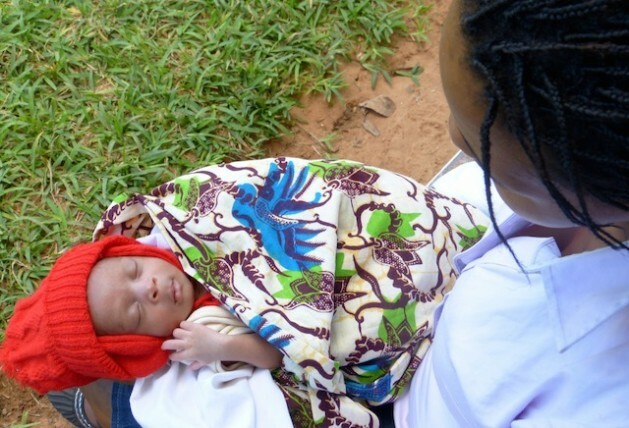 In spite of the huge advances in the prevention of mother to child transmission of HIV (PMTCT) in Africa, experts are concerned that these have not matched other pillars needed to eliminate maternal mortality caused by HIV and AIDS. Preventing unintended pregnancies among women living HIV, as well as providing contraceptives for women who need them are some of the missing pillars. Another is making motherhood safer for all women. Pregnant women with HIV die at much higher rates than women without HIV, Mary Pat Kieffer, senior director at Elizabeth Glaser Paediatric AIDS Foundation in Malawi, told IPS. The risk of pregnancy-related death is six to eight times higher for HIV positive women than their HIV negative counterparts. Studies have shown that HIV increases maternal mortality directly from the progression of the HIV disease itself, and indirectly through higher rates of sepsis, anaemia and other pregnancy-related conditions. This is bad news at a big scale. In South Africa alone, up to 310,000 HIV positive women gave birth in 2012, and 110,000 in Mozambique, says the Joint United Nations Programme on HIV/AIDS (UNAIDS). While all HIV positive women, whether on antiretroviral therapy (ART) or not, are more vulnerable to sepsis and anaemia because of their compromised immune system, Kieffer says that ART does boost the immune system that protects women from infections. Another problem is that women become infected with HIV during pregnancy at higher rates compared to women who are not pregnant, alerts Kieffer. Experts attribute this to biological changes in the woman’s reproductive tract, including the increased blood volume and hormonal changes. In southern African countries, “as many as five percent of pregnant women who tested HIV negative during their second trimester of pregnancy become infected with HIV later in pregnancy or during breastfeeding,” Kieffer told IPS. While ART for prevention of mother to child transmission of HIV is key to reducing maternal mortality, “fighting HIV is about more than pushing ARVs into health systems,” says Kieffer. In South Africa, where nearly two out of 10 persons aged 15-49 are HIV positive, in spite of universal PMTCT coverage, HIV still accounted for six out of 10 maternal deaths in 2012, according to UNAIDS. In Lesotho, with an HIV infection rate of 23 percent, four out of 10 maternal deaths are attributed to HIV related complications. In Malawi it is three maternal deaths out of ten, with an HIV infection rate of 11 percent. UNICEF statistics show that in Eastern and Southern Africa only four out of 10 pregnant women deliver their babies with the assistance of a skilled health professional. In Lesotho, while nine out of 10 pregnant women attend at least one antenatal visit, more than half do not deliver in the care of a skilled birth attendant. Mozambique has a similar pattern – and up to 110,000 HIV positive women gave birth here in 2012. Sheurges an improvement of health services delivery and health staff attitudes. “A good number of health workers believe that HIV positive women have no right to get pregnant,” she says. The consequence is that many women show up late for antenatal care or deliver at home. Addressing unwanted pregnancies among young women aged 15-24 years is yet another pillar, because they are two to four times more likely to be infected with HIV than men of the same age. The highest incidence for HIV lies in the 19-24 age group, “when people are sexually active and may not have a single partner. It is also when most women become pregnant for the first time,” says Kieffer. The two major causes of death for young women are complications of childbirth and HIV, according to the United Nations Population Fund. Because their bodies are not fully mature, they experience more problems with a pregnancy and are at higher risk of HIV infection. She adds that health workers may not treat young women with care or lack the time to give the extra attention, information and support they need. Meanwhile, staggering needs for contraceptives present other challenges. In Lesotho, the unmet need for family planning is 23 percent. In Mozambique, 29 percent, says UNAIDS. Even where contraceptives are available, “ART clinics are overcrowded and overwhelmed, and have resisted putting emphasis on family planning because they did not have the capacity,” says Kieffer. In addition, the integration of maternal and child health services will result in more women and children reached sooner, and more mothers’ lives saved, she told IPS. By strengthening all the pillars needed to improve maternal health, the African proverb about mothers having a foot on their graves will become history instead of a grim reality.